"As I arrived in Istanbul, some of my contacts in financial markets were mystified: why are they protesting when it is one of the fastest growing places on earth? Get down to street level and the answer was clear. In the first place, many of the young educated people I spoke to complained that "the wealth is going to the corrupt elite"; many pointed out that despite being doctors, civil engineers, dotcom types etc, they could not afford a place to live. But then there was the bigger grievance: they felt the religious conservative government of the AK Party was impinging on their freedom. One Turkish fashion writer - no natural revolutionary - complained of "a growing, insidious hostility to the modern". 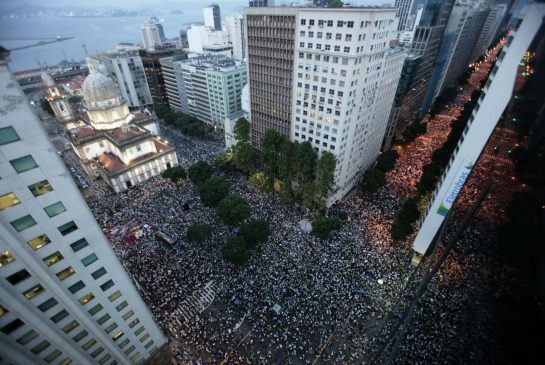 "What is the force that put a million people on the streets of Brazil on Thursday, turned Turkey's major cities into battlefields and – even now – bubbles under from Sofia to Sarajevo? The answer is in the detail: the self-shot videos, the jokes scrawled on handwritten signs, the ever-morphing hashtags on Twitter and the Guy Fawkes masks. Brazil's protests may have started over the equivalent of a 5p rise in bus fares, but the chants and placards in Rio speak to something different: "We've come from Facebook", "We are the social network", and in English: "Sorry for the inconvenience, we are changing Brazil."" 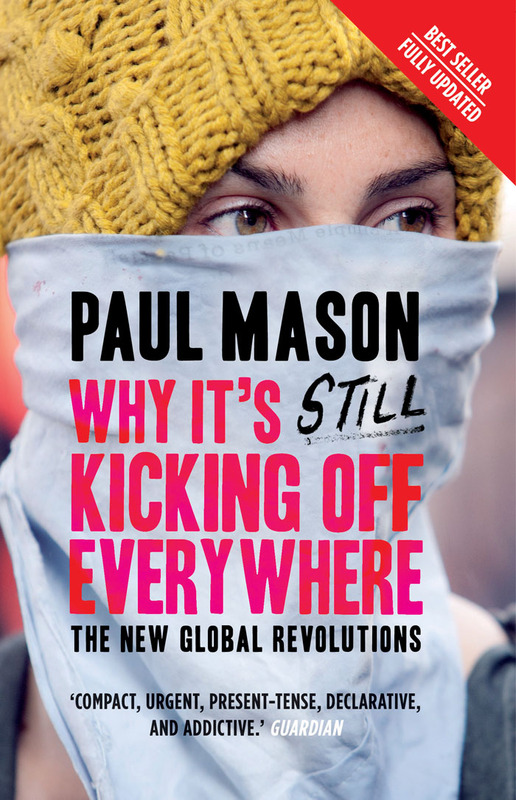 As in the book Paul Mason has been drawing links between what he sees as the sites in a new global era of revolution. Paul opened Newsnight last Friday with an extended report on Brazil in which he discusses the themes in his book in the context of recent events. "What I'm finding throughout the world where these protests are taking place is the mismatch between what an educated younger generation could be doing and what it is doing. Take the example of Turkey, what this younger generation are saying is yes our country has grown rapidly but we aren't getting a fair share of that growth. You hear echoes of that in Brazil." "What does ring true, however, is his assertion that a driving force from Tahrir Square to Occupy is a redefinition of notions of both what "freedom" means and its relationship to governments that seem ever more distant. It is significant, too, that many recent protests have taken place in the large cities that have been most transformed by neoliberal policies. "If you haven't already read Paul Mason's brilliant book Why It's Still Kicking Off Everywhere, I'd suggest you do so."